Welcome to our community. I’m thrilled that you found us. Please know that I want to answer every single one of your questions as fully as I possibly can. But if I were to comment on your specific circumstances in a way that would be helpful, I would spend all my days doing not much more than answering emails. I created this page attempting to answer the most common questions that have come up for the women and couples I’ve had the honor to work with in the last couple of decades. What I love most about my work is engaging with real people in real time. I hope to have a chance to meet you! My husband Mark and I attended the workshop on 9/25 and I haven’t yet emailed a thank you. I think I needed to wait a bit and see if my initial reactions and thoughts about the day lasted. They definitely did. After spending the last year and a half in a perpetual cycle of anger, sadness, grief, and panic, I left Woodstock feeling calm and even a little hopeful. I can’t tell you how much I needed that. What is the best way to start the Program? The 3 Session Introductory Teleconference Series: Fertile Heart Mind Body Fertility Cleanse or the in person workshop, Meeting Your Child Halfway.Take a look at the description at this link. You can also start in any way you are ready to start. 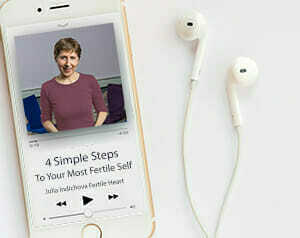 If you just want to dip your toes in you can listen to my FREE AUDIO Program: 4 Simple Steps to Your Most Fertile Self. I also occasionally lead FREE CHATs and send out Newsletters, and I usually won’t bother you unless I have something useful to say. This is a link to the newsletter sign up to make sure you’re in the loop about the Free Chats with me and occasional guest teachers. What exactly is the Fertile Heart OVUM Program? The Fertile Heart OVUM Program is an original, science based set of mind-body tools that emerged through my own experience (described in Inconceivable) and through guiding thousands of women and couples in private consultations and group work. Does it work only for natural conception or can it increase IVF success or help me on my egg donation or adoption journey? Does is work for men and male factor issues? Yes, absolutely. You can take a look at this page for inspiration on sperm health. The aim of the program is to identify what it is that might be blocking you from birthing a family you long for on a physical, emotional and spiritual level. What are the Fertile Heart OVUM mind-body tools? My introductory video, Welcome Video with Fertile Heart Founder Julia Indichova it will give you a sense of the basic tools and ideas of this work. Most of your practice related questions should be answered in the practice section of The Fertile Female and in the Introduction to the Imagery and Body Truth CD’s. We do use food as a Fertile Heart OVUM tool, but we don’t talk about a Fertility Diet. The Ultimate Fertility Diet Video is a great introduction to the unique way we work with food in the Fertile Heart OVUM program. Do I offer private consultations? Yes, I do, but since I have very little time for private work, if you want to get the most out of those sessions, I highly recommend that you supplement the private work with the group sessions. If you’re interested in private work, email me at info@fertileheart.com. Thank you again for your interest in my work. Whenever you’re ready I’m here to support you in birthing the family you long for and turning this challenge into a huge healing opportunity! I have some news. I am pregnant! It is very new and I alternate between being ecstatic and nervous. We saw and heard the heartbeat today! The doctor said everything is measuring on target and looks great. 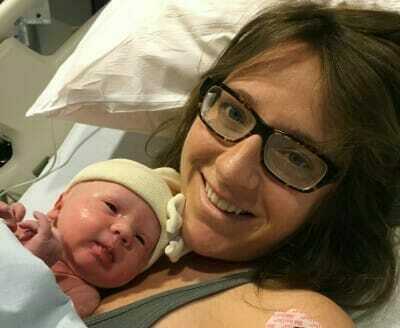 We did do IVF… but this time it was on my timetable, for reasons and protocol that made sense to me, and not because some doctor said in vitro was my only chance, or out of some sense of frenzied urgency.